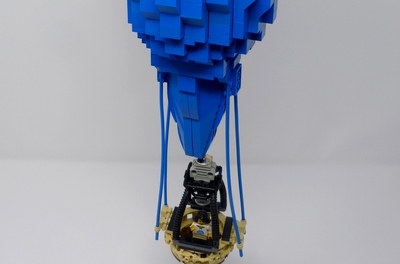 Build the iconic colorful flying house from Disney Pixar's Up movie. 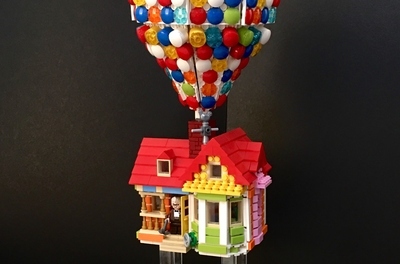 A wooden porch, pink windows, red rainwater pipes and many colorful balloons - this cute micro scale model has all the details. 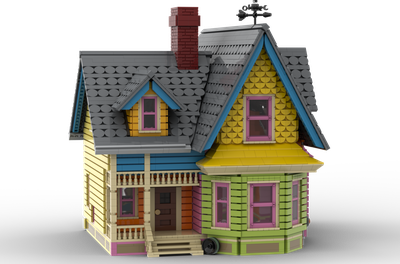 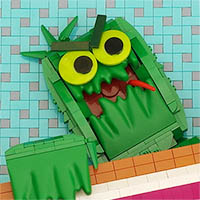 Whether as an eyecatching model for your desk or a model for kids to play with, this house is perfect for every fan of animations and creative ideas. 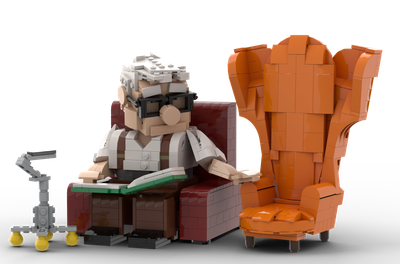 Released in 2009 and celebrating its 10th movie anniversary in 2019, what could be better than holding a LEGO-version of Carl Fredricksen's flying house in your own hands?